FAPRICELA - Indústria de Trefilaria, S.A., a family-owned company founded in 1977, began operating almost solely as a construction nail manufacturer. As the years passed and the company grew, new products were progressively added to the portfolio as a result of the changing market demands: fencing, wire, electrowelded wire mesh, low relaxation pre and post-stressed steel strand and wire and spring wire. Its premises occupy at present a covered space of 90,000m², surrounded by approximately 200,000m² of open property, and the company currently employs 320 workers, which makes it one of the major employers of the centre region. Together with controlled financial management, Fapricela – Indústria de Trefilaria, S.A., is approaching its ideal which is quality manufacturing to satisfy demands. 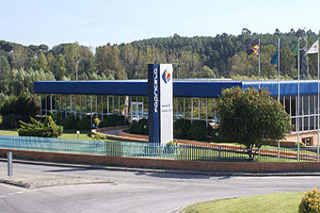 Imbued with this entrepreneurial spirit and determined to diversify the manufactured products, the Fapricela Industry Group acquired in June 2007 the company Ibermetais, S.A., located in Freamunde – Paços de Ferreira, a wire drawing industry manufacturing mild steel wire. Fapricela – indústria de Trefilaria, S.A. has VAT nº 500 643 130, and was registered in the district of the Commercial Registration of Cantanhede under the nº 221.